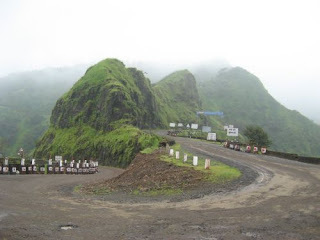 How to reach: Its on Kolhapur to Sangli highway. Take a Right turn from Hatkalagne and its about 4-5 kms. 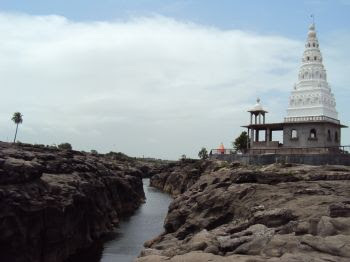 Ichalkaranji is situated some 30 kms from Kolhapur on the banks of river Panchaganga. It was ruled by the Ghorpade dynasty for the last two centuries. The development of decentralized textile industry as well as the co-operative movement in this town has a long and interesting history. 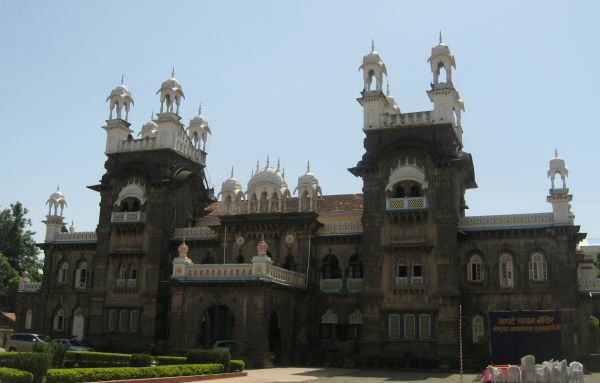 The palace belonging to Shri Narayanrao Babasaheb Ghorpade which is now converted to an engineering institute named Dattajirao Kadam Textile and Engineering Institute Ichalkaranji (DKTEI) is worth watching. The city is well known for its textile industry. We did some shopping. Lot variety especailly in unstiched clothes was available. Somehow it seemed the temperature was low compared to Sangli side. We completed our shopping and and proceeded to Kumbhoj.